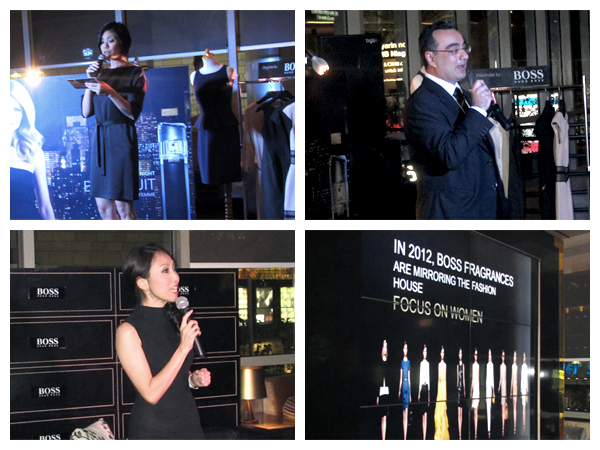 Last month I was invited to Boss Nuit Pour Femme Press Event Launch at Moovina Mezzanine Plaza Indonesia. I'm sure you are familiar with this fragrance because their TV Commercial is airing frequently on TV. 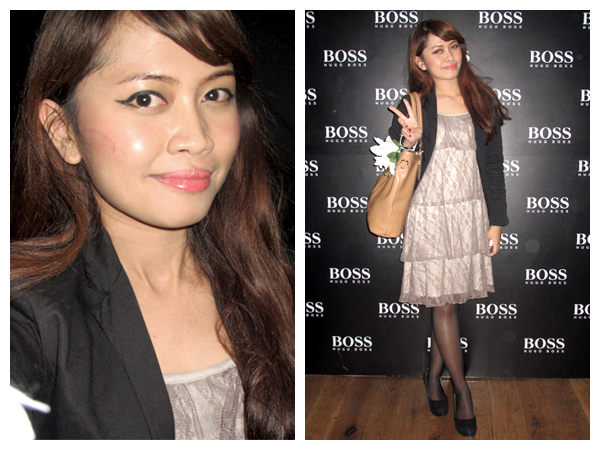 The dress code was "Little Black Dress", but I forgot to wear one.. (U_U") Luckily, l bring my black blazer to cover my dress XD. It was so crowded. Everybody look gorgeous and elegant in their black outfit. My face & outfit on that day ^^ I look shocked! The crowd.. There's a man who can make your silhouette in just a second! It's free! The "stage" area.. The MC is Aline Tumbuan. 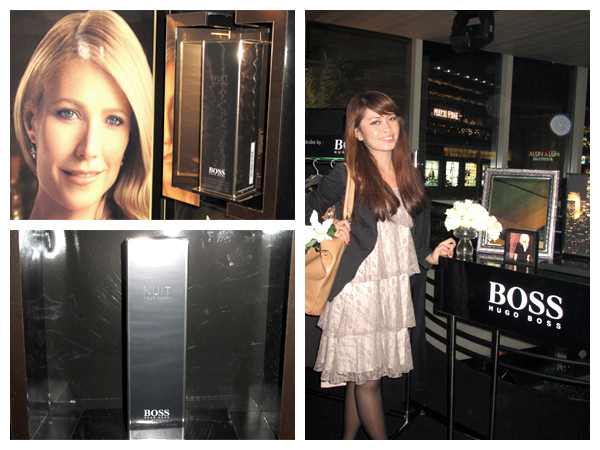 Then we got a total explaination about this fragrance. This is the key visual of Boss Nuit Por Femme Campaign. They use Gwyneth Paltrow as the ambassador. I think her personality fits perfectly with this fragrance: Simple, Classy, Elegant & Sweet. Then the model did a demo. She changed her outfit into a little black dress. 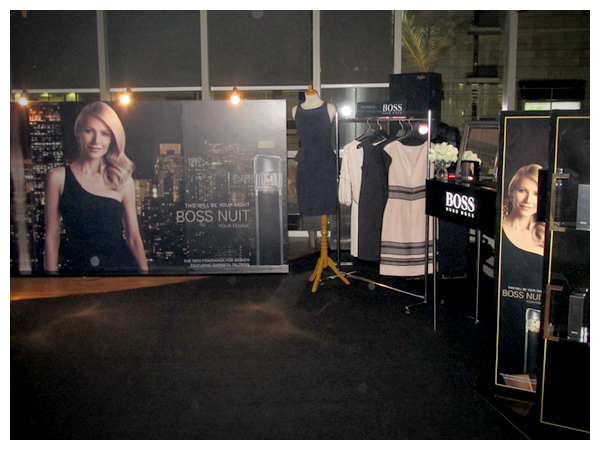 She sprayed BOSS Nuit Pour Femme to her body. Two male models showed up, then they walked in the audience, sprayed the fragrance to everyone. What an exciting demo! ^^ This is the packaging, so simple right? Yeah.. I did a random pose on the stage. 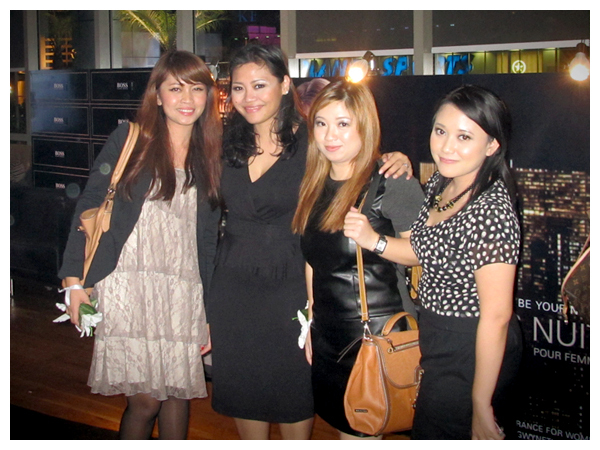 Nisa, Carnelin and I took a picture with the General Manager. 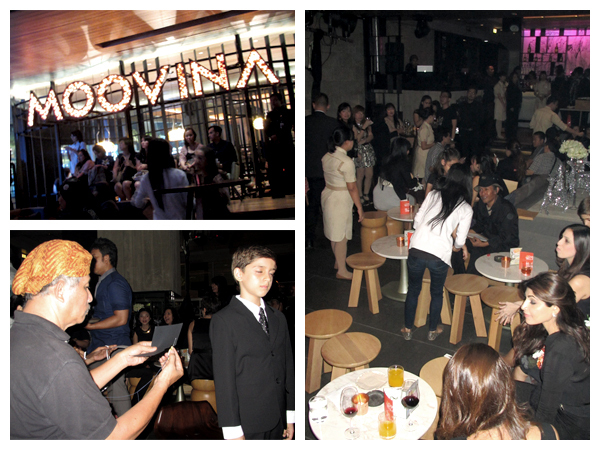 Thank you so much for inviting us! !